Our client was having a tough time making his mortgage payments, as well as simply feeding his family of four. His grocery bag business had experienced some unexpected losses from customers who could not pay, so he asked his mom for some financial assistance. His mom handed him her checkbook and told him to pay his mortgage, using her account. Our client’s mom did not tell her son that she only had $1,900 in her checking account, which was probably not even enough for him to pay his mortgage. 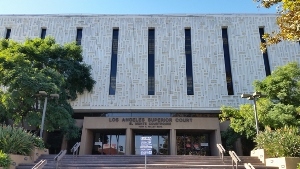 Synopsis: El Monte, six counts of felony P.C. § 476(A) for check kiting, with prior theft conviction, 90 days county jail. She did not tell her son, but he knew, that her bank required a minimum balance of a $1,000 at all times. Knowing this, our client proceeded to write seven checks for just under $1,000 and cash them at seven different banks on the same day. He knew that each bank would simply cash the check because as long as the account was open, it presumably had more than enough money to cash a check for less than $1,000. Each bank assumed that our client was only cashing one check that day, not seven. The bank’s computer systems were slow, so by the time our client had cashed the seventh check, he had overdrawn the account by $5,100. This money was then used by our client to pay other bills. This type of conduct is known as check kiting, although it generally involves moving money or overdrawn funds from one account to a second account. Here, there was no second or even third account, but a lot of bounced checks. Consequently, the banks which cashed the checks had to cover the shortfall. Each bank contacted the police, who contacted the account holder, our client’s mom, to ask her if she knew who the person was on each security camera film (taken of our client in each bank). She quickly explained that it was her son, but that she “did not want to press charges.” However, she was really not the victim in this case. The victim was each of the banks that cashed the checks and handed $1,000 to our client. The District Attorney reviewed the police report and filed its complaint against our client for six felony violations of Penal Code § 476(a). Our client was notified of the case being filed by a letter stating that a bench warrant had been issued for him. The client then contacted Greg Hill and met with him later that day. He explained what he had done and asked what kind of consequences he might face. Greg explained that the most important concern that the prosecutor and the judge most likely would have is the client paying back the bank for the money fraudulently obtained, as well as their processing fees. Greg Hill then appeared with the client and had the bench warrant recalled. The El Monte District Attorney offered our client a prison deal of two years since our client had a prior felony grand theft conviction from about thirteen years earlier. When Greg Hill argued that our Client would pay back the bank in two months (our Client’s grocery bag business had improved) and that two years in prison was far too harsh for a $5,100 loss, especially since the prior conviction was thirteen years ago. The District Attorney refused to negotiate, so Greg pled in the open to the Court. The judge offered our client 90 days in county jail, as well as a promise that the charges could be reduced to a misdemeanor in eighteen months if our client successfully completed eighteen months of formal probation. Our client accepted the offer. Had our client been convicted at trial, he faced a maximum of four years and four months in prison, plus a felony conviction on his record. Ninety days in county jail (of which he may serve considerably less than half), with the option of having the charges reduced to a misdemeanor and thereafter be eligible for expungement of the conviction was a far better deal. Can Someone Be Convicted of Three Crimes by Attempting to Buy Something with a Fraudulent Check?